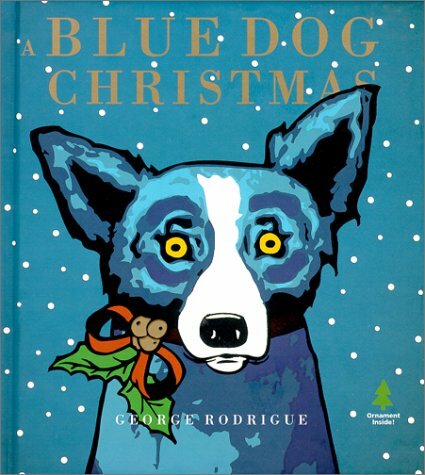 I love Blue Dog and have a copy of this for myself. But found it on sale for the price of a christma card so I bought ten to use for xmas 2005 just for that purpose. traveling some distance to wish a special bookcrosser a Happy Holidays ! What a great Christmas Card!!! Thank you so much! I've heard of this, but hadn't ever seen a copy! I know I"m going to enjoy it a lot! I am appalled that I have had this so long, appalled and embarrassed. It's been on my shelf, and every year, I think I will send it on, get busy, and forget. This year, I remembered. I apologize for my un-Bookcrossing-like behavior, but please know that each year, I opened it and enjoyed it again. I am sending it to my Ornament Exchange partner. Hope you enjoy it!